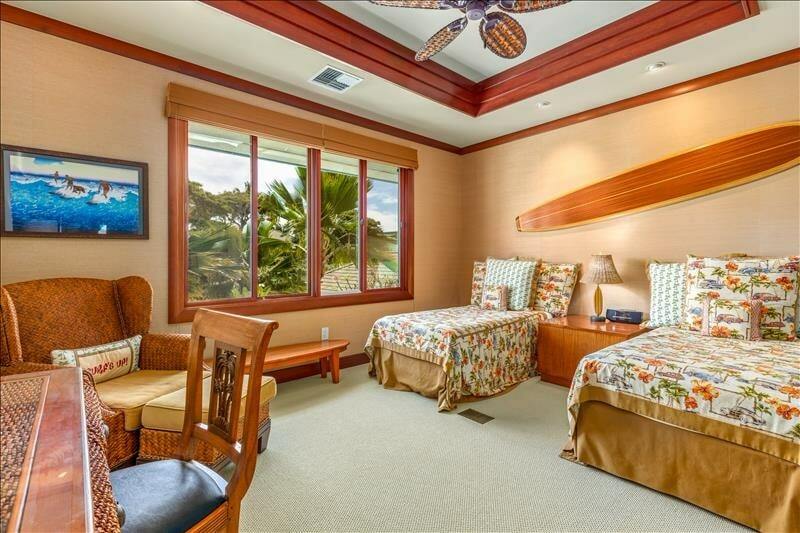 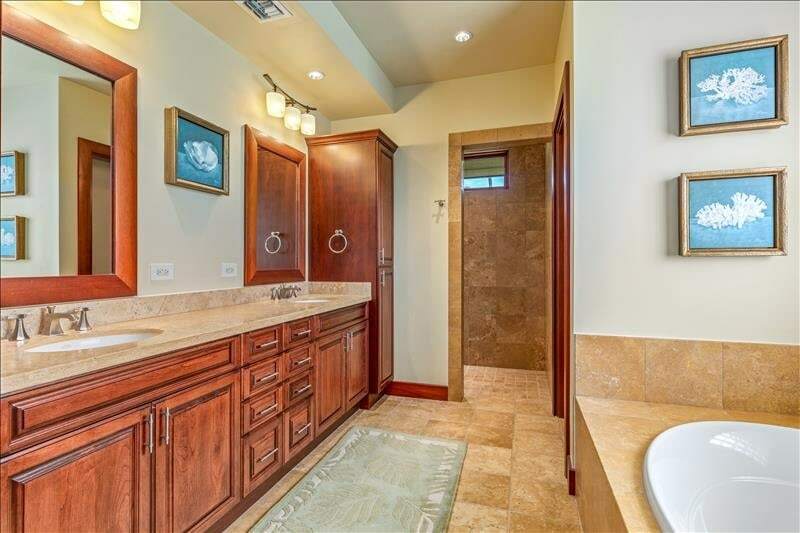 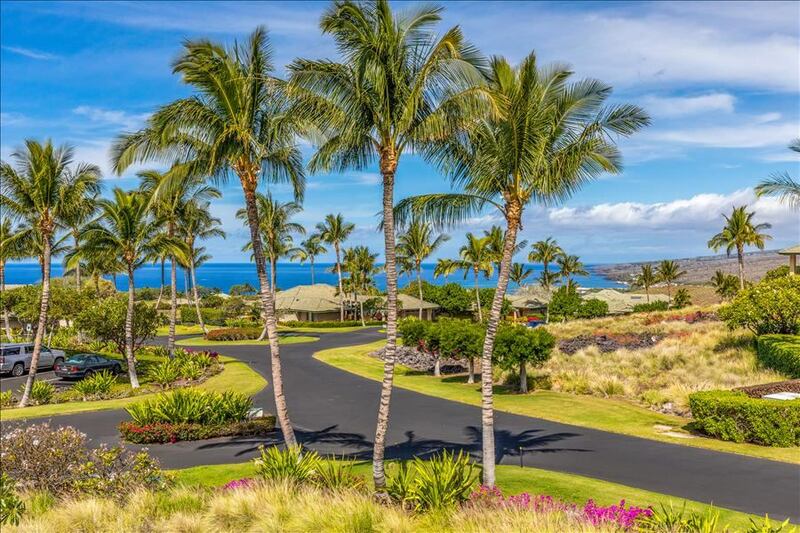 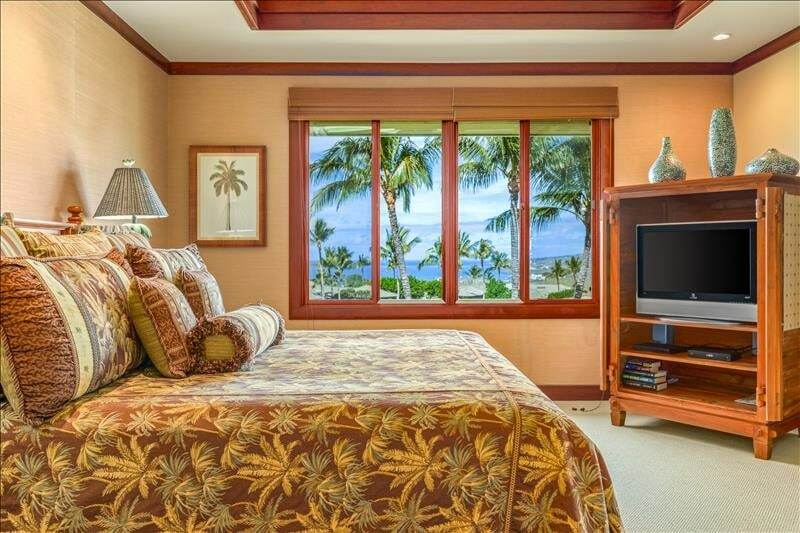 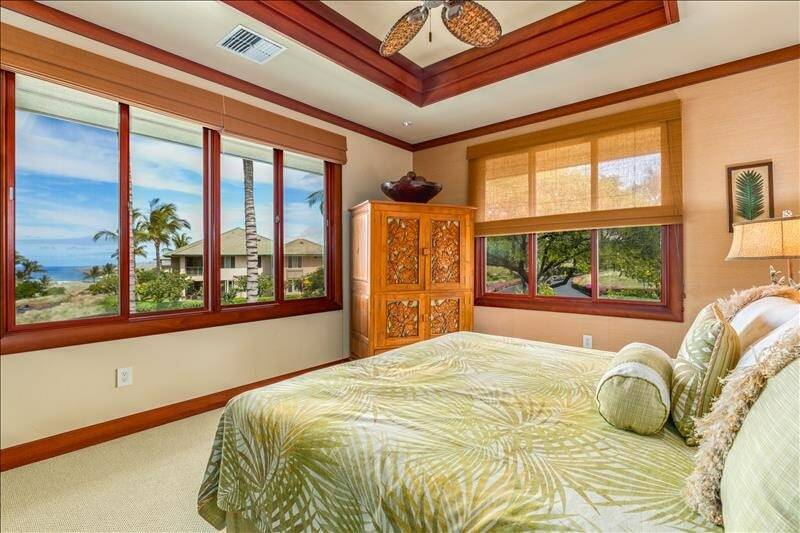 Welcome to Wai’ula’ula on the majestic Mauna Kea Beach Resort- with breath taking views of the ocean this vacation rental provides ultimate relaxation perfect for guests seeking leisure and sun. 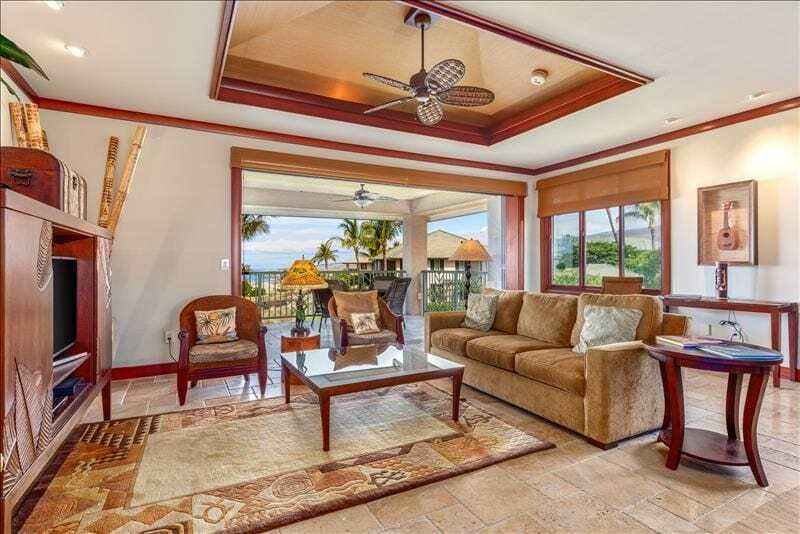 Situated on second floor with a covered lanai features a dining table seating for 4, a built-in Wolf BBQ, fridge, and 2 additional comfy seating for you to enjoy the outdoors. 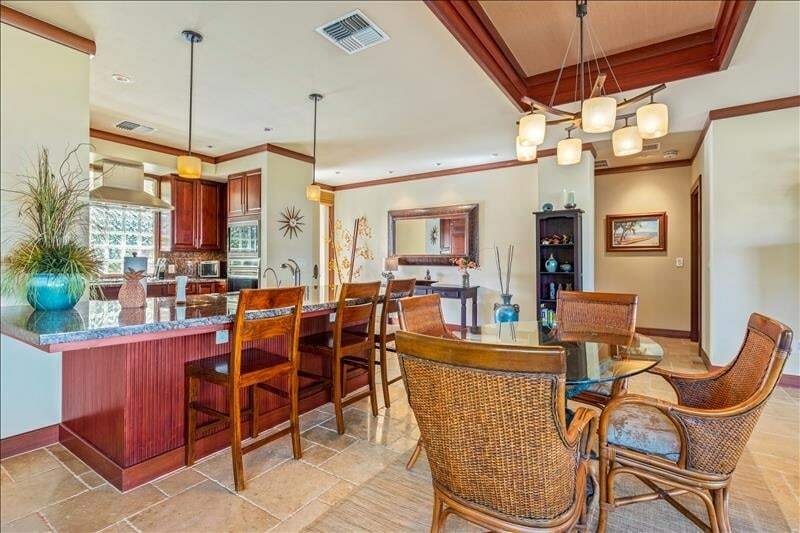 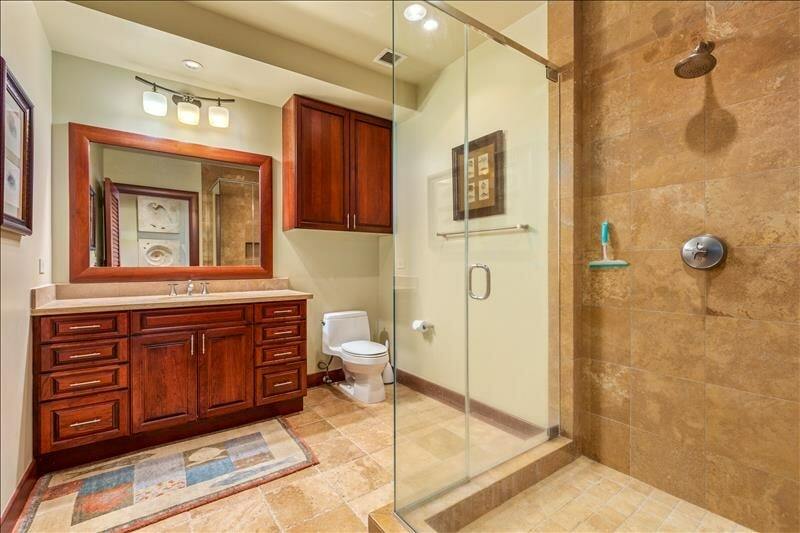 Connected to the greatroom is the nicely appointed gourmet kitchen with a breakfast bar for casual dining with seating for 3. 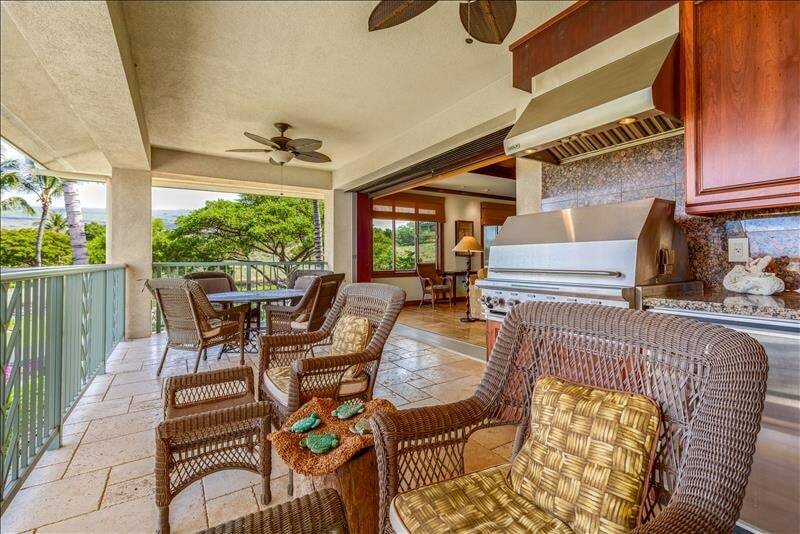 Prepare meals using the Wolf gas range, Sub-zero refrigerator and other top of the line appliances.